That coat is hideous (the color — yuck) and her beret is too small. I can't get over the fact that a hair made its way to the top of the beret. And it looks like a hair from her brunette period which was I think last week, in church where we could even see the black roots over the dyed hair. But today the hair looks black and pretty much like a wig. 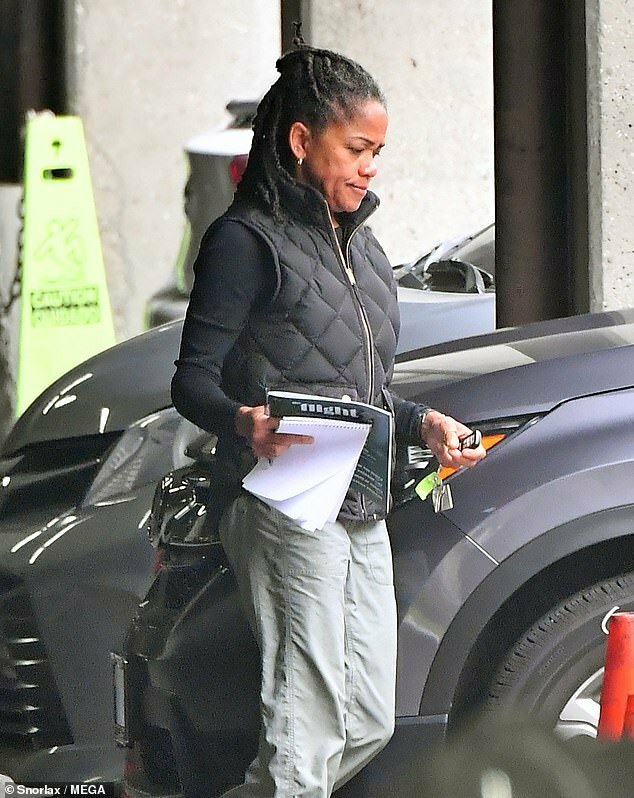 Hair looking filthy; ghastly colored coat, and why they’re saying she’s about to drop, I don’t know - her bump hasn’t dropped into her pelvis yet. ^Yeah. She’s a mess here. She really did not look happy at the christening, and wasn't eyeballing the camera as she normally does. She's also missing her false eyelashes. Very odd appearance. She did show up for the Christening which is a good thing. I read on another site that the Royal Family looked surprised and unhappy at photographers showing up for a very simple, small family event. They all know Who Tipped Off the Media. Those buttons on that coat!!! Awful. I wondered why everybody looked so put out and almost angry. Duh, I'm slow today. I believe she did call the press and proceeded to give the public, royal family and her so called haters the finger, especially after the articles about Markus. I guess she believes she's invicinble and showing that no matter what, Harry's by her side. She should be wondering why that's so as she's surely disrespected him quite many times. Klassy just likke her mum. Doria, 13. January, LA, giving the finger to the camera. Her past is catching up with her and hopefully will umble out all over the world's press. 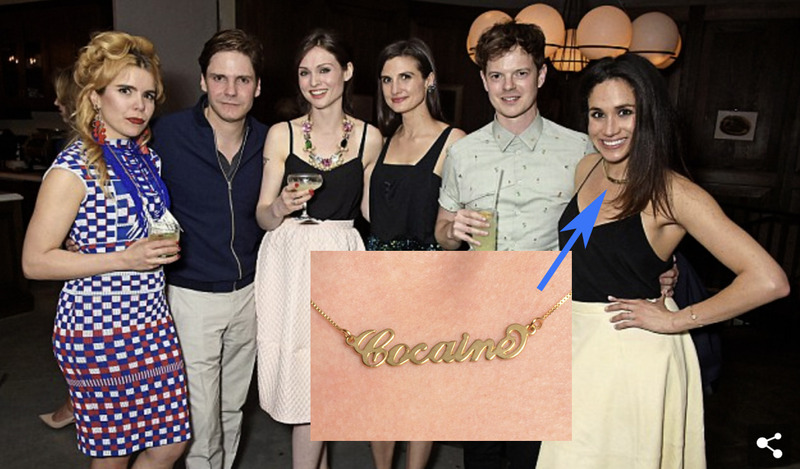 Apparently she's wearing a necklace that says cocaine. In London 2013, yet she had no concept of what the royal family's about. How can she not if she'd been visiting London for years and lived in Canada for years also. 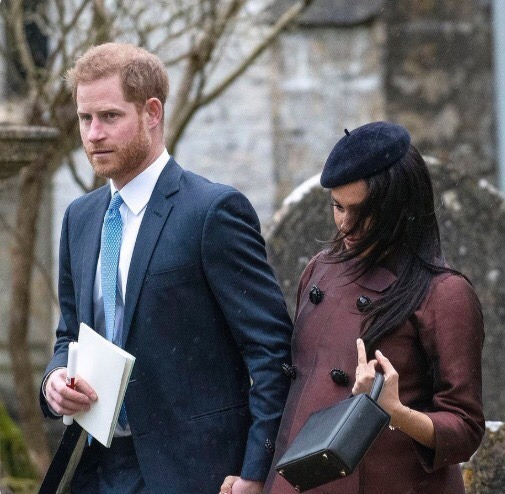 But, according to royal expert Victoria Arbiter, Markle pays nothing — the Royal Family foots the bill. 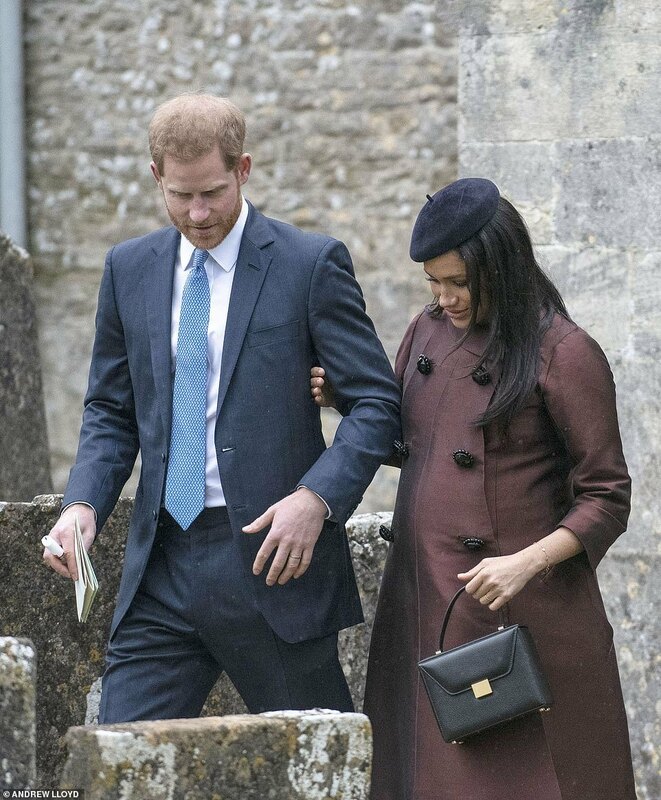 More specifically, the cost falls to Markle’s father-in-law, Prince Charles. Tailoring has become quite common too, according to Arbiter. link to the article that got cut off. Charles wants a slimmed down monarchy but yet's ok to to pay for her expensive wardrobe. I thought that who pays for Meghan and Kate's on duty wardrobe had been discussed several times on the forum, with Charles's Duchy funding being explained before? It's no secret. He's been paying a generous annual allowance to the Cambridges, incorporating Kate's clothing since 2011, and to the Sussexes as a couple (incorporating Meghan's) since May 2018. Even if he pays out of his pocket - the amount Megan spends on clothes is insane. What's crazier is that none of the designer clothes looks good on her. Surely it must not be every designer in the world's fault that even the black wigs don't look good on her. ^^^ Oh, my, cocaine necklace. Oh, my. I am not sure if she called the press. She didn't do her eyebrows, looks like she just put on a coat that was given to her and probably still smells of mothballs from wherever it was dusting for ages. 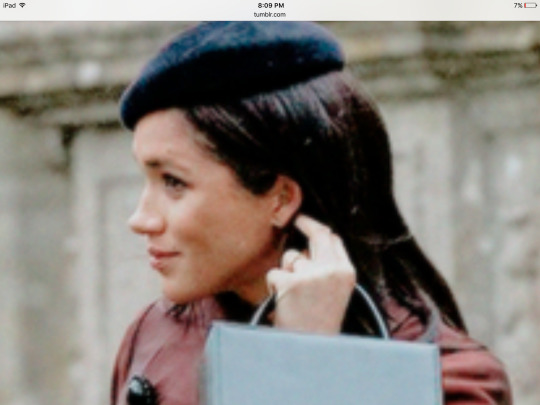 I suspect Andrew messaged the media to get a good picture of the not so glam and not so merching duchess cause the way she looks on pictures I'd suspect that she didn't have time or willingness to shower and brush her teeth ... things we all do before we comb our hair and put on make up. My guess is - if she skipped steps 3 and 4, then surely there's something wrong with steps 1 and 2. 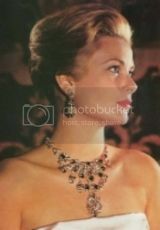 Probably the cocaine necklace spoke to her the night before ... just speculating, of course. ^How dare she wear Gucci after their racially offensive blackface sweaters!!! Gucci pays Gucci is worn. That's her mantra. She got the man, she doesn't have to pretend to be environmentally friendly any more. Is it just me who thinks the only reason she wanted to go to New Zealand House was so she could get some new Gucci?